What is film or Tint? There are different series of window films. The main types of tint are Full Metal tint, HP Metalized tint and the Non-reflective tint for automotive. The full metal is very shinny and has no polyester and the HP films are a metalized and polyester. 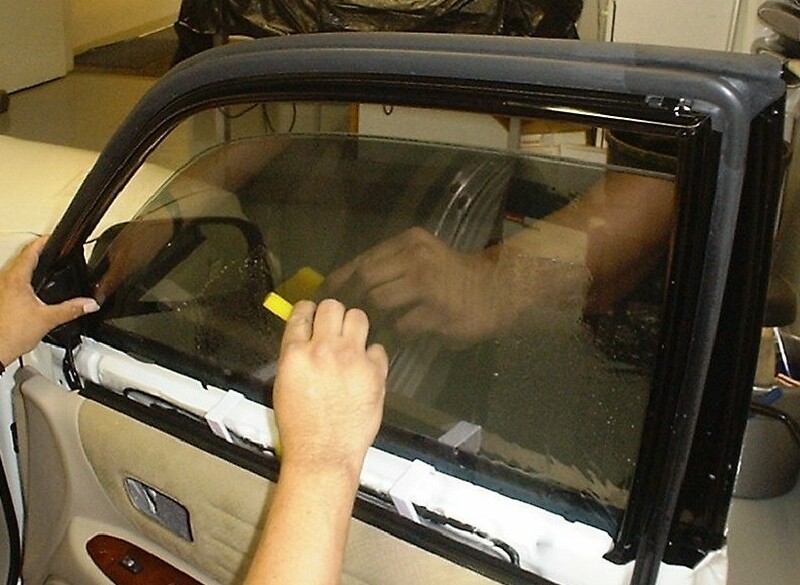 The Non-reflective window tint or film is a UV stabilized window film and has no metal. All the film which once applied on window glass will reduce ingress of heat and other solar radiation through the window. The HP and Metalized tint as well as the newest series of NR films carry a lifetime guarantee. How is window film applied on glass? Window film has adhesive on one side, which is covered with liner. Removal of the liner exposes the adhesive, which can be activated by spraying soap solution on it. It is then fixed on the inside of the glass and the excess water is squeezed out with the help of a squeegee. Can window film be applied on any surface? Film is best suited for plain window glass. It is not recommended for any non-smooth surfaces and even most of the smooth surfaces other than glass. To what extent can window film reduce the ingress of heat? The heat rejection property of film varies from film to film. The reflective range of Sun control film rejects heat up to 80%. How long does window film last once it is applied on glass? The life span depends on various factors such as application of film, orientation of the window, location etc. There are recorded cases of film lasting for more than 10 years. Is there a one-way film available (for all times)? Strictly speaking there is no one-way film for all times. However, reflective films prevent visibility from outside (area of greater light intensity) during daytime and vice-versa during night time. 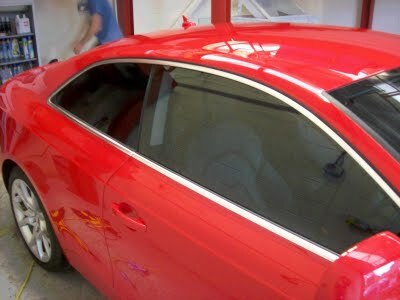 Window tinting services has recently introduced new Blackout film, which can completely block light thus obstructing any visibility from both sides. Film provides various advantages like heat rejection, protection from harmful UV rays (up to 98%) and protection from flying splinters in the case of accidental breakage of glass; which are not achieved in tinted glass. Thus it is better than tinted glass on these parameters. Most films are UV stabilized, which can cut up to 98% of the harmful UV rays which causes fading. But it should be noted that UV rays is one of the components in the solar energy spectrum, and the other components such as heat, Infrared radiation and light are also responsible for fading due to sunlight. Since these factors vary for different types of films and hence extent of fading will depend on the type of film used. Why is window film called an energy saver? Can I fix the film myself? Installation of the film on flat glass is fairly easy. However, it is advisable to install the film with the help of trained installers to avoid appearance of bubbles or damage to the film or any wastage or hire it done from the beginning. The range of films includes auto and commercial films - Reflective films, Non reflective film, Clear frost, silver frost (privacy film) graffiti guard and Safety film. Window film, applied on glass can prevent flying glass splinters in the event of accidental breakage. However it does not reduce the chance of glass panes breakage. How long does it take to apply window film on the glass? Time taken for fixing film depends upon various factors such as place of application, access to glass, installer's efficiency, type of film, time of application etc. Normally time taken to apply film on a car is around 2 to 3 hours depending on the car. Curing time for window film adhesive applied on glass depends on the factors such as film type, time of the year when film is applied, time of the day when film is applied etc. The recommended curing time for ordinary window film is at least a week from the day of application but some haziness and cloudiness may last up to 3 or 4 weeks. Does window film require any special care after installation? How should I clean the glasses with film? Main thing to remember is not to use anything with ammonia as in Windex. Use a alcohol base window cleaner and cleaning of windows can be done using soft cloth and water. Do not use any rough or abrasive material for cleaning. Can I replace my existing window film with new window film? The advantage of window film is that you can change it whenever you want.